It's international scone week (ISW) and I'm linking up with the talented Tandy Sinclair from Lavender and Lime who is hosting this grand event. This is my second time participating and I’m very excited to be involved. 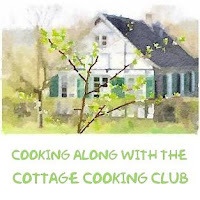 If you would like to take part; create and blog a scone recipe and post it August 7th through the 13th. Link back to this post on Tandy’s site and use the hash tag #ISW2017. 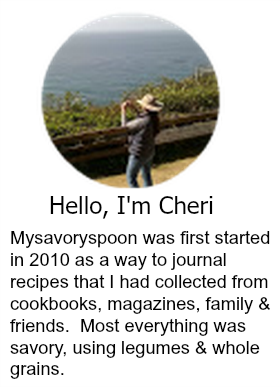 Tandy will also showcase all the recipes on her sidebar for the entire year. Sounds like fun right? For ISW I am sharing these Buttermilk Peach Scones. For this recipe I used fresh unpeeled diced peaches. The peaches must not be too ripe or your dough will get too wet and sticky. The other thing to keep in mind here is that the sweetness of the scones is dependent upon how sweet your peaches are. This scone is more biscuit like than muffin like in texture and not too sweet. You could always add a glaze, I think a cinnamon glaze would work well if you would like a little extra flavor. In a small bowl whisk the buttermilk and egg together until frothy and set aside. In a large bowl, blend the flour, brown sugar, baking powder, cinnamon and salt. Add the butter and blend the mixture with your fingertips, until you have no lumps larger than a pea. Stir the wet ingredients into the dry ingredients. Now add the peaches, gently stir until everything is combined. This is a wet, sticky dough. Drop the dough by the 1/4-cupful onto the prepared pan; an ice cream scoop works well here. Place on a silpat, or prepared baking sheet. Using a pastry brush, glaze wedges with remaining egg mixture. Bake for 15 to 18 minutes, or until golden brown. Cool on a wire rack. Makes 8 scones. We love scones! (Well, who doesn't?) These with juicy sweet peaches look marvelous, Cheri. Thanks Angie, peaches and cherries are my summer favorites this year. What a fun idea! I love scones and can't wait to check them all out. And this gives me a reason to bake some, huh? These look super! Usually I am not much of a scones fan but yours look delicious. Adding the peaches gives them a nice flavor and texture. Great job , Cheri. Those scones look delicious Cheri, love that you used peaches, perfect recipe for summer with all the delicious fresh peaches available now. Thanks Suzanne, still waiting for the cling peaches, we have a few more weeks to go. I love scones ! Looks absolutely delicious! I've never tried using fresh fruit in scones. Thanks for the great share and mention. Thanks Tandy, appreciate all that you do to host this event. The peaches in these scones take them to the next level. They look so pretty and I am sure they must have tasted fab. Thanks Taruna, yes we enjoyed these very much! strawberry compote and ice cream sound like a wonderful way to enjoy a scone, thanks Amelia! I truly love baked goods, making them, eating them, drooling over them and dreaming about them! And scones is a personal favorite along with peaches. These are dreamy Cheri! Outstanding with the buttermilk and big chunks of peach! Pass one over please! Aren't peaches wonderful! And scones! I may need to try a new scone and participate this year! You should, that would be wonderful Inger! Scones are SO good, aren't they? And these look like the best of the best. Love peaches -- great way to use them. Thanks! Thanks John, we can't get enough of the peaches this year, so good! LOVE everything peach and these scones look so pretty and sound so delish. I bet they taste divine. I have a HUGE batch of peaches in my refrigerator. Can't wait to try this. Thanks Anu, hope you enjoy these as much as we did, just finished polishing them off this morning! I would love to have a buttermilk peach scone for my breakfast tomorrow morning! Yum yum yum! Thanks Zaza!! appreciate you stopping by. Thanks Agness! your so sweet. We love scones and this is a great recipe! Saw this on instagram, and fell in love! YUM! I would love one of these! Hope you get a chance to make these scones Moumita, they are one of my favorite treats. How cool Grace, Ireland is on my bucket list! What a lovely recipe - scones with fresh peaches seems to me to be the perfect summmertime treat! And what a nice idea to be focusing on an International Scone Week - I did not even know there was one! There seems to be a day for everything anymore, ISW was a fun event to participate in. Take care Andrea! Pretty cool right? Thanks Dena! haha! I know what you mean, me too! Thanks David. Oh wow these look perfect, I would love one of these for breakfast. Thanks Sherry, love peanut butter and the fact that you cut your scones like biscuits, will definitely try that next time. I love peaches too Kim, today I devoured one all by itself, my favorite way. I love peach scones and those big chunks are so enticing! Wish I had one for breakfast tomorrow! I have never been a huge scone fan, but I love anything peach, so I feel like these are going to change my mind.